Jamie Foxx will chronicle Marvin Gaye’s triumphant, tragic life story in a planned limited series about the soul icon. The actor is executive producing the project alongside Passe Jones Entertainment’s Suzanne de Passe and Madison Jones, who will shop the series to various linear and digital outlets, according to The Hollywood Reporter. At Motown, Gaye found success with his romantic musical persona, partnering with duet partners like Mary Wells and Tammi Terrell. But he explored social issues and sexual subject matter on later LPs, including 1971 masterpiece What’s Going On and 1973’s Let’s Get It On, respectively. After a commercial decline later in the decade, he found a resurgence with 1982’s Midnight Love and hit single “Sexual Healing.” But his story ended tragically in 1984, when he was fatally shot at age 44 by his father in Los Angeles. While numerous actors, musicians and filmmakers have attempted to produce Gaye biopics over the years, Foxx’s is the first authorized by the late singer’s family. “This project will be a powerful and definitive telling of Marvin Gaye’s life story,” said Gaye’s son, Marvin Gaye III, who will also executive produce the project. According to Variety.com, the life and art of legendary musician Marvin Gaye is being developed int a feature documentary by Noah Media Group and Greenlight called, “Marvin, What’s Going On?” The film will center on Gaye’s creation of his seminal 1971 album “What’s Going On” and marks the first time that his children — Nona Gaye, Marvin Gaye III and Frankie Gaye — along with his former wife, Janis Gaye, have supported and contributed to such a project. The documentary is slated to go into production this year and is intended to be “the defining portrait of this visionary artist and his impeccable album,” according to a statement from the film’s producers. The project will be filmed in Detroit, Los Angeles and Washington, and will feature exclusive interviews with several top Motown artists and never-before-seen archive footage unearthed by Gaye’s children and former wife. The film is set to be released in 2017. In a joint statement, Gaye’s children commented: “We would like to express our excitement about the upcoming documentary feature film about our father and the creation of his amazing ‘What’s Going On’ album. We are proud that his relevance remains intact, and we look forward to being a part of this cinematic journey. “Our father was complex, but we are confident that with Noah Media Group’s attention to detail and their dedication to the truth, the positive, inspirational and aspirational aspects of his life will be handled and shared with the world in a way never seen before. “We look forward to participating and sharing what we can through friends, family, photos, footage and priceless stories that only those who knew our father up close and personal would know, as well as his contemporaries, purists and fans who have studied him and his art over decades. R&B and soul legend William “Smokey” Robinson will be honored by The Rock and Roll Hall of Fame and Case Western Reserve University during the 20thAnnual Music Masters™ series, presented by Klipsch Audio. Robinson was inducted into the Rock and Roll Hall of Fame as a part of the sophomore class of inductees in 1987. The weeklong celebration, Nov. 2-7, 2015, will culminate with the Annual Music Masters concert on Sat., Nov. 7 at 7:30 p.m. EST at Playhouse Square’s State Theatre. The tribute concert, presented by Klipsch Audio, on Nov. 7 will feature previously announced Inductees Dennis Edwards, Martha Reeves, and Mary Wilson, as well as the Robert Glasper Experiment. New guests scheduled to perform include Avant, Avery*Sunshine, Bilal, JoJo, Eric Roberson, and Michelle Williams. Adam Blackstone (who has worked with artists such as Rihanna, Janet Jackson and Justin Timberlake) will serve as the tribute concert’s Musical Director. Robinson will attend the tribute concert to accept the award but is not scheduled to perform. Tickets to the Nov. 7 concert range from $30 – $100 and are available now at the Playhouse Square box office, by calling (216) 241-6000, or by visiting www.playhousesquare.org. A limited number of premium seating and VIP packages beginning at $300 are available by contacting the Rock Hall’s development office at (216) 515-1201 or development@rockhall.org by Fri., Oct. 30. 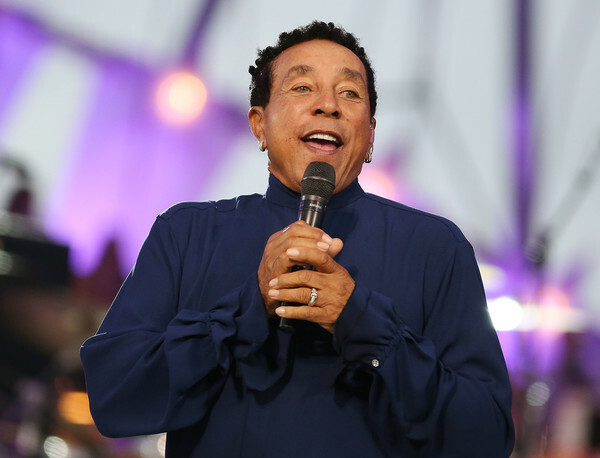 To open the tribute concert, Case Western Reserve will bestow an honorary Doctor of Humane Letters degree to Smokey Robinson, recognizing his many musical and cultural contributions, which extend from enduring songs to his leadership in the music industry. The university awards honorary degrees to recognize those who exemplify in their work the highest ideals and standards of excellence in any valued aspect of human endeavor, including scholarship, public service and the performing arts. JUST ANNOUNCED! FREE with RSVP – Mon., Nov. 2 at 7 p.m. – “Smokey Robinson and the Sensual Black Avant-Garde” / Author Series with Jason King at the Rock Hall’s Library and Archives (2809 Woodland Avenue, Cleveland). Reservations can be made through the Rock Hall website at https://tickets.rockhall.com or at the Rock Hall Box Office. FREE with RSVP – Wed., Nov. 4 at 8 p.m. – An Evening with Members of the Music Masters tribute band in the Rock Hall’s Foster Theater. This event will be streamed live at http://rockhall.com. FREE – Thurs., Nov. 5 at 7 p.m. – Keynote Lecture “You Really Got a Hold On Me” by Dave Marsh at Case Western Reserve University’s Tinkham Veale University Center (11038 Bellflower Road, Cleveland OH). Marsh, rock critic, historian, anti-censorship activist, talk show host, and “Louie Louie” expert, has written more than 20 books about rock and popular music, and edited that many more. In this talk, Marsh will explore more than 50 years of listening to Smokey and why, in his opinion, Smokey Robinson is the best singer-songwriter ever. This event is free and reservations are not required. Seats are available on a first-come, first-served basis. This event will be streamed live at http://rockhall.com. The conference will celebrate Smokey Robinson’s impact on popular music, including a panel discussion on Smokey moderated by renowned author and Smokey Robinson autobiography co-author, David Ritz. Ritz will be joined by Harry Weinger, Vice President, A&R at Universal Music Enterprises; Jason King, Director of Writing, History & Emergent Media Studies at New York University’s Clive Davis Institute of Recorded Music; and Andy Flory, Assistant Professor of Music at Carleton College. There will be a special Motown-inspired performance and master class with the youth of the Boys and Girls Clubs of Cleveland as well as interviews with special guests. Tickets are $25 ($10 lunch voucher included) and are available through the Rock Hall website at https://tickets.rockhall.com or at the Rock Hall Box Office. Admission to the Museum is free with the purchase of a conference ticket. Sat., Nov. 7 at 7:30 p.m. – Annual Music Masters Tribute Concert at Playhouse Square’s State Theatre. Tickets to the November 7 tribute concert range from $30 – $100 and are at the Playhouse Square box office, by calling (216) 241-6000, or by visiting www.playhousesquare.org. A limited number of premium seating and VIP packages beginning at $300 are available by contacting the Rock Hall’s development office at (216) 515-1201 or development@rockhall.org by Friday, October 30. The Rock Hall’s award-winning education team will launch a special Smokey Robinson and the Miracles teaching unit as part of their Digital Classroom online curriculum on Tuesday, November 3. The Digital Classroom allows teachers and students to learn more about rock and roll history with lesson plans, listening guides, and exclusive content that can be used in classroom. To learn more, visit http://www.rockhall.com/digitalclassroom. The woman who teamed with Marvin Gaye on a string of 1960s Motown hits before dying of a brain tumor at age 24 is getting her own biopic. Tammi Terrell will be played by The Vampire Diaries star Kat Graham, who also is working her debut album with producer Babyface. Maryam Myika Day wrote the untitled project, which marks Graham’s feature debut and is being produced by Robert Teitel, Rose Ganguzza and Hilary Shor. Shooting is set for next year. The film follows the brief but memorable career of Terrell, who started out as a backup singer in the James Brown Revue before scoring a few minor pop hits as a solo act. But she struck gold after being paired with hit-making singer Gaye in early 1967, a teaming that produced such Motown classics as “Ain’t No Mountain High Enough,” “Your Precious Love” and “Ain’t Nothing Like The Real Thing.” In October 1967, Terrell collapsed onstage while performing with Gaye, and doctors diagnosed her with a brain tumor. She continued to record with Gaye and scored a few more solo hits before dying in 1970.